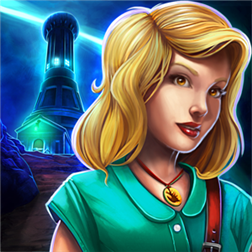 Investigate the mysterious town of Serpent Creek and stop an evil plot to bring the evil Snake God back to our world. 9Clues: The Secret of Serpent Creek is an original hidden-object puzzle-adventure game, featuring a totally unique Detective Mode. This thrilling mystery merges elements of classical horror and gritty, 50’s-style noir. But upon arriving in Serpent Creek, the detective finds no trace of Ms. Hunter. And the manager of the nearby hotel, in which she supposedly stayed, claims to have never even seen her. This case will certainly challenge the protagonist’s skills as a detective. She must save her friend, reveal the corruption and hidden agendas of the town’s citizens, and, most importantly, stop an evil plot to bring the Snake God back to our world. When investigating Serpent Creek, the detective will perform true investigative work: finding clues and combining them to learn the secrets of every crime scene in the all new Detective Mode! What’s more, she will crack codes, pick locks and solve clever puzzles along the way.